We have carved a niche as one of the authentic providers ofÂ Company Formation ServicesÂ based in India. Our Offshore Company Formation Services provide you with the tools you need to get your company up and running.The following types of Business entitles are available in India. A minimum of two directors are required and minimum two shareholders. The right to transfer shares is restricted as per the articles of association. The number of shareholders is limited to fifty. An invitation to the public to subscribe to any shares or debentures is prohibited. No invitation or acceptance of deposits from persons other than members, directors or their relatives is allowed. Lesser number of compliance requirements. A company expands its business by opening up its branch offices in various parts of the domestic country as well as in other countries. A branch office refers to an establishment, which carries on substantially the same business and activity as is carried out by its Head Office. A Liaison Office is in the nature of a representative office set up primarily to explore and understand the business and investment climate. An office of a firm which is located somewhere other than the firmâ��s main office location. In other words, a branch is simply another location and is still involved in the business activities of the firm. It cannot do any other commercial activity. To open a Liaison office, the parent company has to apply to the Reserve Bank of India and is normally granted permission within 2 to 4 weeks. Wholly Owned Subsidiary Company. 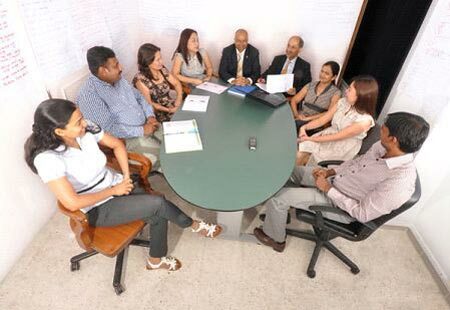 We offer information on best business practices and customized advice on company formation in India.